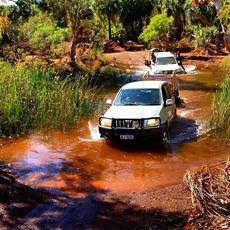 A day or two may not be long enough for you to see the Pilbara, then take your time on the 3 day tour. This tour will enable you to experience George Gorge which is situated on the Ngarluma and Yindjibarndi boundary, Python Pool, Pyramid Hill, Millstream-Chichester National Park, Gregory's Gorge, Driller's Hole and Dogger's Gorge. You get to do all the fun things on the overnight tour, but with an extra day to see and learn more.